I am again very happy ? with this new update. Black skin is awesome. Every layouts are rendering as expected. Now it's fully functional and ready for daily use. And we are most happy with new lockscreen idea ?. It is awesome now we can watch visualization quickly without going to main app. But the problem is we have to also unlock system lockscreen every time. Please make it skip directly because I am not using any security on lockscreen. And again thank you very much for your all hard efforts. 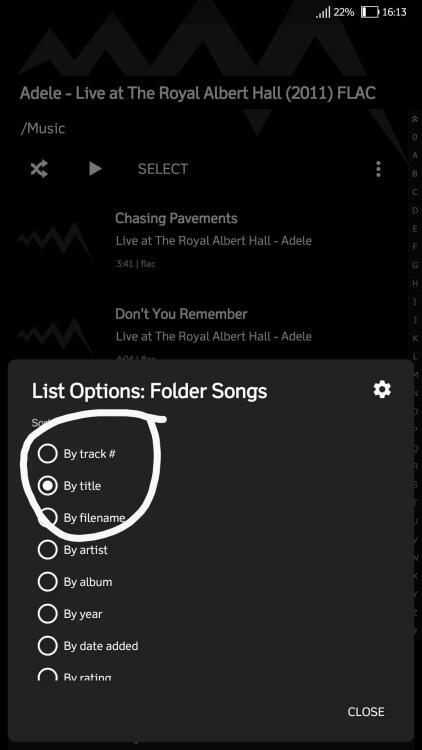 Although since I'm new to Poweramp I was wondering if anybody can help me, in any regular music app if I play a playlist I can navigate to a queue where I can see the upcoming songs (handy in shuffle or just play the song I want), over here when I play a playlist my queue remains empty. Am I missing something? the only complaint i have is the title over the album art, otherwise it's perfect. Clicking on the ' X ' icon is not clearing the field. Please fix this. Thank you for the update! The best! Update is pretty cool so far, getting use to the changes. "List Options" are reset after the program is closed. Also, please add separate list options for "Albums" and "Artist Albums". the album art also looks a lot lower res then build 709. Czy mógłbym poprosić o rozszerzenie, nowej wersji aplikacji, do wersji Androida KK 4.4.4. - niestety, z różnych powodów, nie mogę zaktualizować Androida do wyższej wersji. Thanks for the update. Its very nice and was worth the wait. Please, bring back the counter "current track number / all played tracks number" as extra window (bleu text in red area at the screenshot). This is very useful to see "next track" and "track counter". Also the track picture is too big, and there is no setting to fit her. The resolution is 1500x1500 - 1:1. Yes, it gets reset and by default in alphabetical order. List by track # should be the default. Anyhow, the problem is it doesn't get saved when you exit the app. I mean button play and other are BIG i can press seekbar (wavefrom) only on far right or far left side. In skin it already ON. Very nice update. I like it new UI. But I cannot use hardware volume buttons when screen is off.. Still same after install build 790. I don't happy with this new test version, the app sounds great no change ever made in the sound but I have some questions. 1. Where's the option for hide the notifications bar. 2. The "text in black box" don't look great in album art and in the main screen, also the text is too big, can you put a "text with shadows" or simply put the text below the album art. 4. 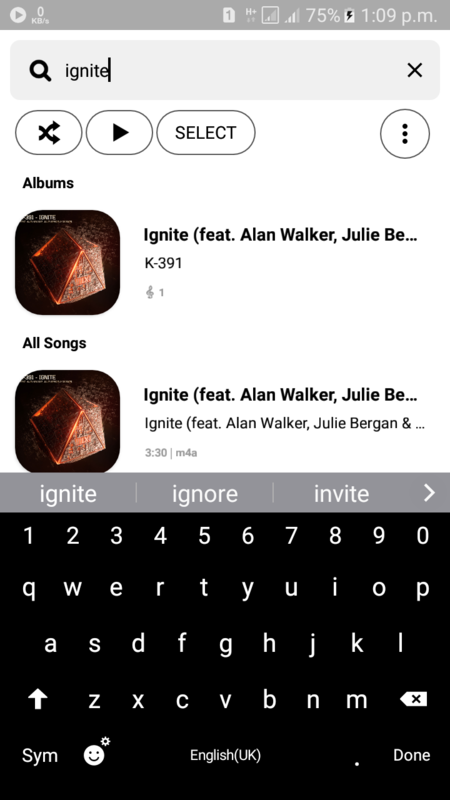 The list view is too big even in small option, find a song takes a long time with this view. 5. The "rounded" album art looks great in the main screen but looks awful in the album view and in the songs tracks. 6. The change album swipe up or down in the main screen don't work anymore? This function works great with the "Pro buttons" in off. 7. Sorry for my poor and bad English. Thanks for the update. Just a couple of things. I've had a couple of crashes this morning when viewing the library. Logs have been sent. I was in the Album view changing the sort order. Would it be possible to add Album Artist to the sort order options in the Album list. Mainly due to compilations. Also the recently added list. This is set to songs. Would it be possible to set to albums. I must be one of the few people left who still listens to Music by albums ? Yes i agree! This is extremely frustrating. Luckily i can lock apps from being cleared from "recents". List options >sort by>date modified is the entire reason i use this app. I don't like the changing of the UI. Good update, I do like it except the black background of TITLE, LIKE/UNLIKE BUTTON and REMAINING TIME, if you dont mind I do suggest to make it transparent and circular edge for better looks, thank you.